Nvidia’s GTX 1660 Ti has been spotted in the Ashes of the Singularity benchmark. This heavily rumoured graphics card ditches the RTX branding and the 20-series naming convention of the Nvidia Turing architecture graphics cards already on the market, and reportedly performs some 20% faster than the GTX 1060 – albeit in the rather uncertain AoTS benchmark. 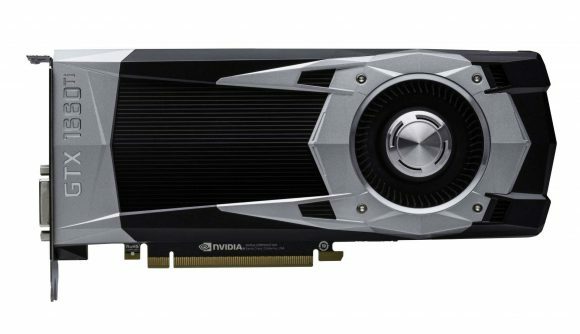 Despite Nvidia hoping to keep the ray traced dream alive with its high-end 20-series cards, rumours of it ditching the RTX functionality – such as AI processing Tensor Cores and ray tracing RT Cores – have been growing as of late. These latest AoTS results seemingly confirm that a knocked-back GeForce GTX card to compete in the mid-range is on the way. We’ve been expecting the green team to announce a mid-range graphics card ever since the RTX 2060 launched for $349 – a much greater sum of money than its Pascal GTX 1060 predecessor. Instead the GTX 1660 Ti is alluded to as the true mainstream successor to the Pascal card, but we have to say we’re not fussed on the name. GTX is understandable – so long as you’re in the know – but 16-series… come on! As for performance, the Nvidia GTX 1660 Ti manages a score a little over 19% greater than the GTX 1060. AoTS isn’t exactly the most trustworthy of benchmarks, however, so try not to be beholden to those performance figures just yet. The result was surfaced by prominent leaker TUM_APISAK on Twitter. We salute you. This isn’t the first time we’ve heard of the GTX 1660 Ti, either. The existence of a GTX card, sans ray tracing hardware, was first floated over a month ago, before the RTX 2060 launched. The 1660 Ti name was, at the time, believed to be the result of an errant typo, instead alluding to the sensible GTX 1160 name. Easily done. However, we then heard of the GTX 1660 Ti yet again only last week, lending further credence to the GTX 1660 Ti. As it stands today, we expect the seemingly confirmed GTX 1660 Ti to be built upon the same 12nm FinFET process node as the existing Turing GPUs. We also expect it to retain the same shader design introduced with the Turing architecture and the same memory tech, GDDR6. The differences being the GTX 1660 Ti will launch without any of the dedicated AI and ray tracing compute silicon. The Turing GPU in its current form is a whole lotta silicon, and cutting some of the excess RTX fat allows for Nvidia to price it competitively against the competition from AMD – likely to be AMD Navi later this year.